The Tarkine is located in the northwest of Tasmania in a relatively untouched region. A wilderness wonderland in the northwest corner of Tasmania. The Tarkine is located in the northwest of Tasmania in a relatively untouched region. Despite not having recognized and mapped borders, the Tarkine Region is generally agreed to be located in an area bordered by Arthur River to the north, the Pieman River to the south and the Murchison Highway to the east. The little town of Arthur River at the western most point of Tasmania is a 2 hour drive from Burnie on the northwest Coast and from Zeehan the small settlement of Corinna is approximately a 50 kilometer drive via unsealed road. These two townships are most commonly associated with the Tarkine and give visitors access into this special region. The Tarkine is an extraordinary place of natural beauty within Tasmania. 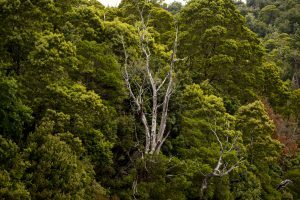 The Tarkine includes a vast area of cool-temperate rainforest which includes species that evolved from when continents were joined together as Gondwana. You’ll be amazed at the peaceful rainforests and the history of the area which includes a large number of historic Aboriginal sites. The Tarkine also has a history of mining, with rich resources including gold and tin throughout the area. Many historical mine licences allowed sifting of gravels from river beds and were not large mines, however modern-day Tasmania has the open cut Savage River Iron Ore Mine at the edge of what is considered the Tarkine Region. 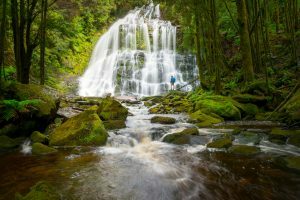 The chance to experience relatively undisturbed cool temperate rainforest is a major drawcard for this region. 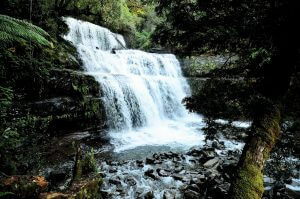 A mix of rainforest, eucalyptus forest, rivers, mountains, cave systems and a basalt plateau that is still covered in original vegetation makes the Tarkine a wilderness wonderland that is a fantastic place to explore. Visitors can self-drive this area and see remote beaches and sand dunes, waterfalls, forest vistas and even take a 110 metre slide into the largest Blackwood sinkhole in the southern hemisphere. The small settlement of Corinna at the southern end of the Tarkine Region is a wonderful spot to explore and experience the wilderness. You can make the crossing over the Pieman River on the Fatman Barge or even head further up the river on a cruise. This little oasis has accommodation, kayaking, fishing, a general store and café and plenty of walks in the area to keep you occupied. Arthur River on the northern side of the Tarkine is a small town that is at the westernmost point of Tasmania. The ‘Edge of the World’ is a small point just outside the township where the Arthur River meets the ocean. A truly rugged west coast experience, Arthur River gives you access to both pristine rivers and rainforest as well as roaring surf beaches and historical Aboriginal sites. The Tarkine is the perfect place to get out and into nature. A largely untouched area, you’ll love the Tarkine for its wild nature but peaceful forests where you could be the only people for miles. 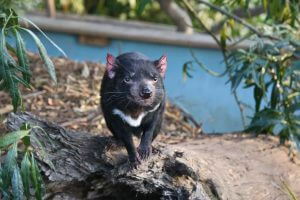 You’ll find this place a haven for animals and if you keep an eye out you may be treated to a sight of some rare and endangered species, including Tasmanian Devils in the wild or the threatened Orange-bellied Parrot. To travel in and around the Tarkine you’ll need to hire a car, if you are not already visiting via a tour. There is little to no public transport in this remote area of Tasmania. You can drive from the north to south of the Tarkine or vice versa via the Western Explorer Highway. An unsealed road, the Western Explorer takes visitors from Arthur River through to Corinna and then visitors can cross the Pieman River using the Fatman Barge. Due to the road conditions the 100km journey can take longer than 2.5 hours. Visitors can also drive on sealed roads to Corinna using the Murchison Highway and then turn off on the B23 through to Corinna. This drive will still give visitors great access to the Tarkine with less remoteness and shorter travel time using sealed roads. The Tarkine is an area of contention and is not an officially mapped area. The name Tarkine first came into mainstream use by the conservation movement around the early 1990's. The name came from the ‘Tarkiner’ tribes that inhabited the area prior to European settlement. 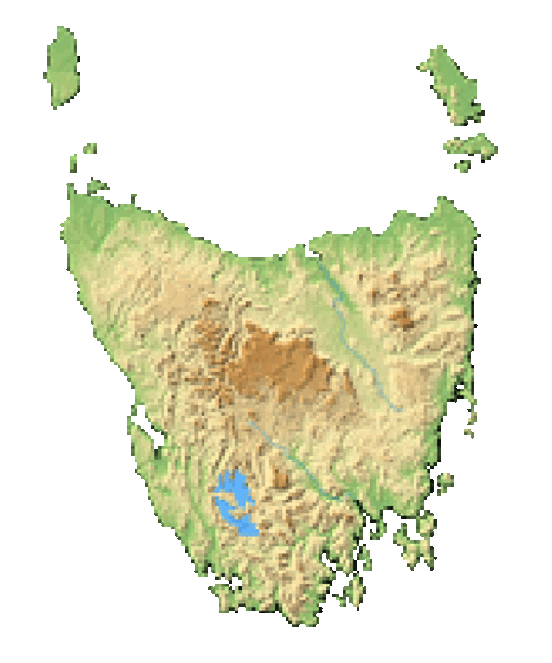 Since the 1960's Tasmanian conservationists have fought to have this area declared a National Park to protect the area from native forest logging and mining operations. The debate surrounding the status and protection of this area continues today. Issues include the conservation of land and natural status of the area however these are met with arguments of pro-development and support from local groups for mining activity in the naturally resource rich area. The township of Corinna was first settled in 1881 by European explorers and was proclaimed a town in 1894 due to the prevalence of gold within the area. The Tarkine covers 450,000 hectares of land in the northwest of Tasmania which include cool temperate rainforest, sea misted dunes, large plains of button grass and mountains covered in forests. The area provides diverse habitat that protects over 60 species of rare, threatened or endangered flora and fauna. 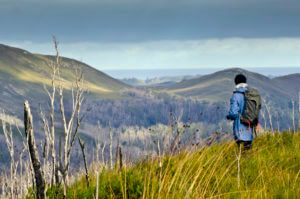 The Tarkine is a vast area which means there are nearby sites depending on which area of the Tarkine you are in. 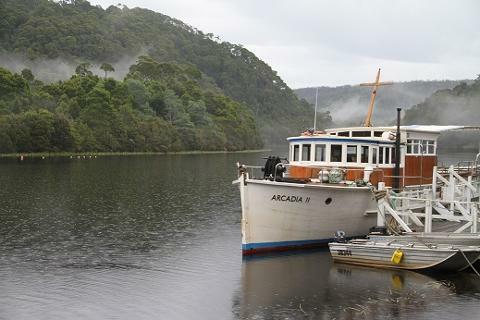 If you’re taking in the northern end of the Tarkine why not explore the townships of Burnie, Wynyard and Stanley, or if you’re in the south check out Strahan, Queenstown and Zeehan.